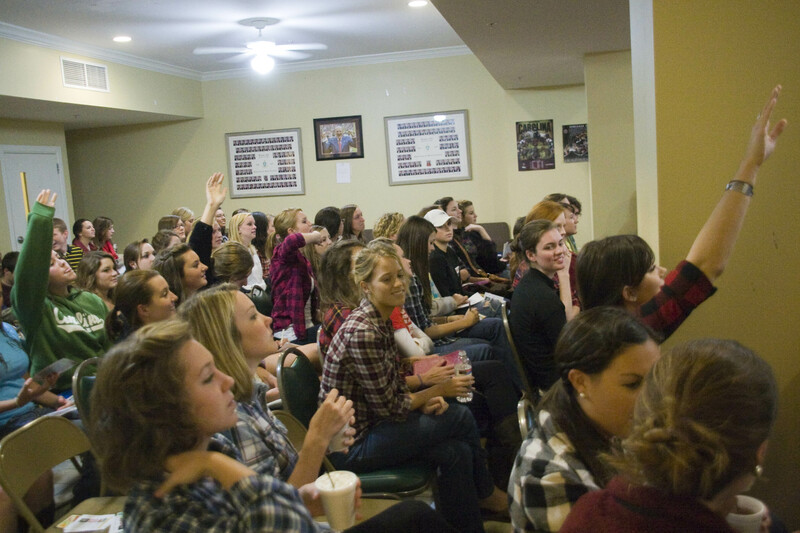 Here are some photos of Greek Impact this past week! 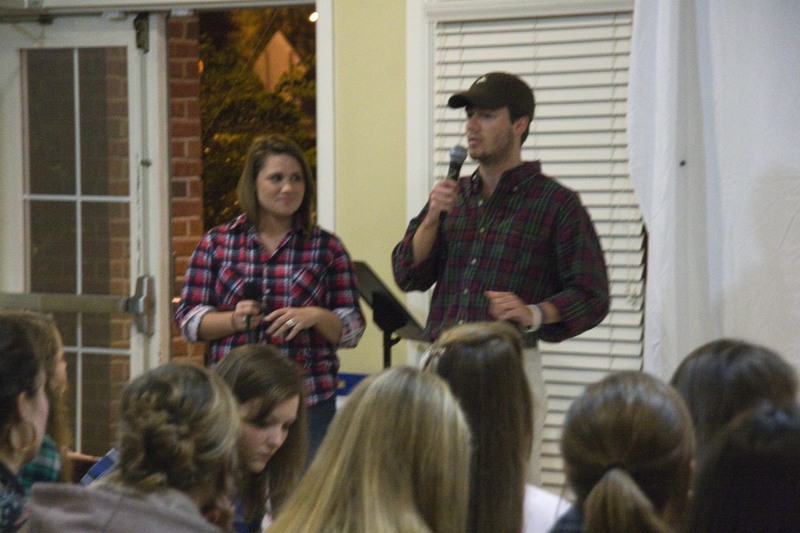 Shelley, (pictured above) was RANDOMLY voted in as the Tri-Delta chaplain last year. She says she was the wildest girl in her whole sorority. Now she is a surrendered believer and is going to intern with us full-time next year doing Greek ministry!!! Amazing!! Bill, (pictured above) was featured in our last newsletter. 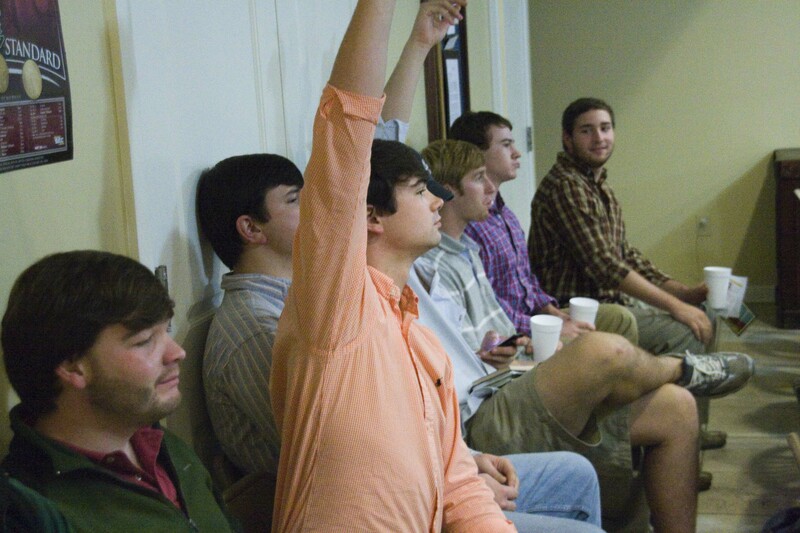 He has a driving passion to reach Delta Tau Delta for Christ and has given great lift to our men’s ministry. We are praying he will intern tooooo! 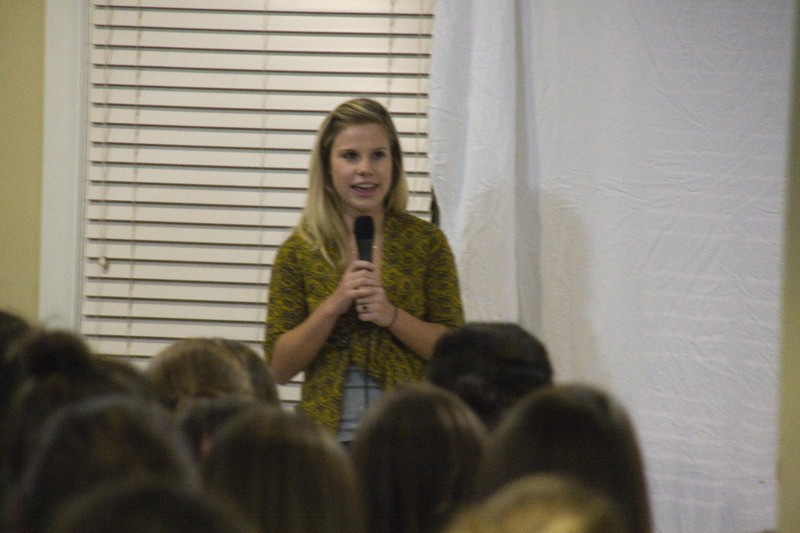 And then a precious testimony from a girl who’s life was changed at Encounter Winter Conference. Here she is sharing what God has done in her life and challenging people to come on the conference. Please pray that students will come! We are praying for 50 from USC…but college students/we all can be a little selfish with our vacations. We have an amazing partnership with First Baptist of Columbia. 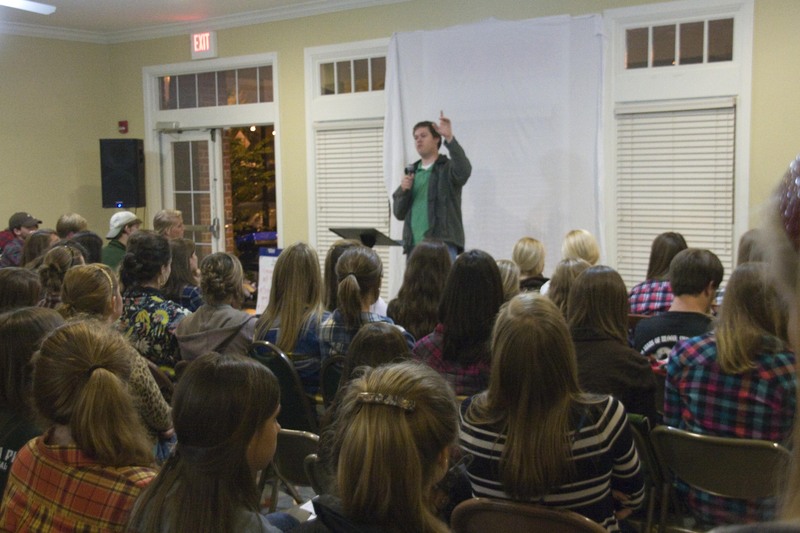 Wes, the college pastor, speaks for Greek Impact once a semester and the students love him. Here he is challenging them that the small things really do matter in life. Through a growing relationship with Christ we must get rid of shame, anger, jealousy and greed. Praise God for all that He is doing. This Thanksgiving we are EXTRA grateful for God’s power and presence in our lives. We are EXTRA grateful for YOU who make it possible for us to be here reaching students for Christ. THANK YOU!! 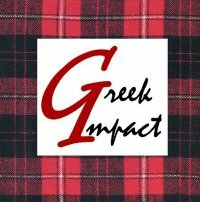 Thank you to all of you who prayed for our Greek Impact (flannel edition) meeting! It was amazing. We had the perfect amount of people (a little shy of 200) and we are trusting that God’s Word will change lives! 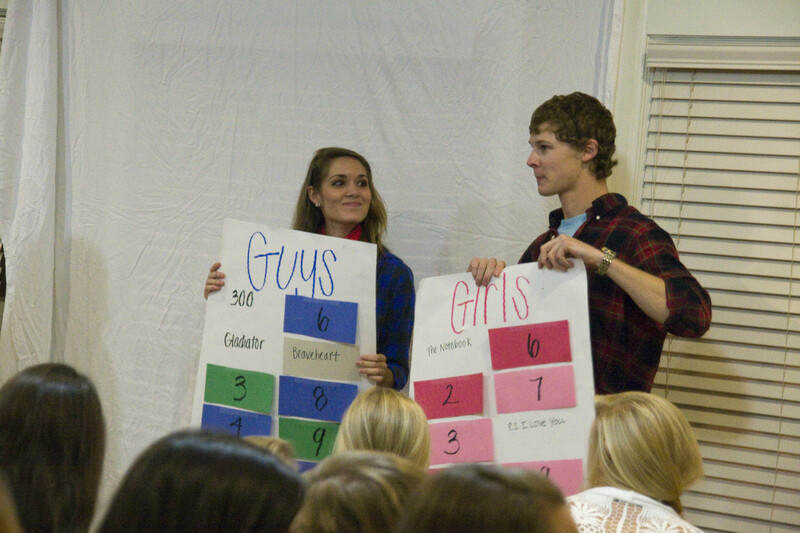 Please pray that our student leaders will commit to coming to Encounter ’09. This conference is always transformational for students and we would love to see 50 go from Carolina. Pray that Greeks would make up a large number of those spots. If anyone would like to sponsor a student (money is always the biggest barrier) please contact us. Pictures of tonight coming soon!